Absurd Wurld: Which Synth Manufacturer is Getting It Right? We're currently half way through the Autumn (or Fall as our American friends call it) and new synths have been released in the run up to Christmas. After the festive period all eyes will turn to NAMM a month later, the biggest music equipment trade fair, when music tech companies present their wares for the coming year. This is when secret projects (and sometimes unfinished ones!) get revealed to the public for the first time. Its then we get to see what new delights, damp squibs and more of the same but packaged differently the manufacturers have got up their sleeve. Its easy to get caught up in this kind of thing and you can turn into a person just surfing the wave of hype from one product announcement to the next. Needless to say, this is not really the point of being interested in synths or gear more generally. Not that Behringer have paid much attention to that this year with possibly the longest and most dragged out teaser campaign for a synth we've seen for many a long year. One has to hope that when the much discussed Deepmind 12 gets into real people's hands it delivers for it could surely be a disaster if for any reason it doesn't. Thinking about all this set me thinking about the synth world in general and the various options that people interested in synthesizers have should they want to buy one. This, in turn, lead me to survey the various manufacturers and then a question came to mind. This question was to ask myself which manufacturers, over a period of time, seem to be getting things right and which seem to be producing duds or misses or just things that people don't seem to want. Now, of course, this all very much depends what people want from a synthesizer if they are going to judge if various companies are giving them what they want. But I tried to think broader than this. I was not asking myself which company is making the synth that I like. I was, instead, trying to ask myself which companies were and weren't providing a range of good quality instruments and I was thinking broader than myself in doing that. For example, lots of people seem to like Novation's groove box, Circuit. Personally, it doesn't impress me very much but I wouldn't necessarily hold that against Novation. Many others do seem to like it and that seems fair enough. So what I'm saying here is that in my deliberating I'm trying to see past the end of my own nose. Of course, I won't be able to cover every company so if I miss one its because I've made my own choices. And so with that I'll start my wander through synth world. Let's start with Korg. 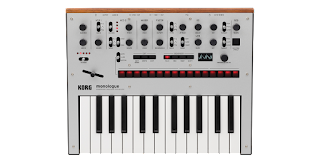 Only today they have released a monophonic version of their Minilogue called the Monologue. This is yet another analog instrument and Korg have for a number of years now been fueling the analog fix people seem to have been requesting in their own way. This even extends to resurrecting analog classics like their own MS-20 or Arp's Odyssey. They've also not neglected those who want to make music but have limited budgets. Their Volca range is now well established with 6 models in the range so far and they also have an updated Electribe range. Via its analog modeling synth, the King Korg, we get to its workstation, the Korg Kronos, now in its second iteration. This is probably the best workstation out there right now if that is your thing. It contains models of some of their old synths too in the Polysix and MS-20, the latter of which can be played polyphonically here unlike the real thing. I'll be honest and say that Korg have for years seemed to me like a solid company if you are a synth fan. They always seem to have decent ideas that are well delivered. There aren't as many misses it seems to me. They are a bread and butter synth company in that they will always give you something you can work with. Granted, they may not always offer the flashiest products but they won't let you down either. A Korg instrument is always a decent bet. This is probably why in my time being interested in synths I've always had multiple Korg instruments to call upon. Sure, there are better things but Korg are a company who are a business and so they balance innovation with value. In doing so they supply solid workhorses at all levels of the marketplace. Perhaps, though, we could say that in recent years they have lacked an absolute killer instrument. Korg rarely make that one synth that just stands out from the crowd. But they do make best selling ones as their M1 and Microkorg are amongst the best selling synthesizers of all time. And so we turn to their Japanese neighbours, Roland. Here my comments can only be controversial since Roland have chosen to take a very specific tack away from current popular consensus which is in favour of analog instruments and gone down the route of digitally modeling circuits from their old instruments (which were analog) in an attempt to present them new to the public. And so we have the Boutique series of digitally modeled polysynths and their Aira range which presents old classics like the TR-808 and TR-909 and the TB-303 in new guises. It is, I think, somewhat controversial that they have done this although they certainly seem to have found some following for these products. Others, however, are somewhat dubious about a company whose only idea seems to be to reissue things they had done before. These products came after the Jupiter 80, an expensive performance synth based on Roland's "Supernatural" synth technology which is also in their products such as the Integra 7, a rackmount synth presented in the somewhat older sound module format. The Jupiter 80 was widely panned, not least for pretending to wear the clothes of something it wasn't - the Jupiter 8. Thus, critics of Roland point out that they don't seem to have many new ideas. Roland themselves seem to say they don't want to just mimic everyone else and so they will happily go their own way. My view on this is that Roland have seemed lost in the wilderness for 10-15 years now. Back in the 1980s they were at the top of their game with synths like the Jupiter 8, the drum machines mentioned above, the Juno series of the 6, 60 and 106 and even keyboards like the D-50 and JD-800 moving into the early 90s. In the 21st century Roland have seemed to have many fewer hits (the V-Synth being the most notable) and plenty of misses. There seems to have been an ideological vacuum at the top of the company and they haven't presented charismatic, must have instruments to the public. ACB, Active Circuit Behavior, which is their current analog modeling technology that the Boutiques and Airas are based on, seems to be their current answer to this ideological problem. This has allowed them to produce several instruments and devices at the cheaper end of the market and, to be fair, these products don't seem to have been too bad. Meanwhile, in a higher price bracket they have produced instruments like the JD-XA, an analog/digital hybrid instrument, and the System 8, a larger synth based on Aira technology which can host multiple plugins (or plug-outs, using their terminology). The System 8 will host models of the Jupiter 8 and Juno 106 natively as well as a third plugin synth as well as the System 8's own sound engine. I find these latter two synths interesting curiosities at the very least. Can we say that Roland are finding their mojo again? They certainly seem to be trying to. Moog Music are, in many respects, the granddaddy of synth companies. Bob Moog was probably the guy who started the whole commercial synthesizer business off. We should note he started off making a modular synthesizer though and that the Minimoog, a cutdown version of this, came later. Incidentally, you can now buy new Minimoogs again. The company that lives on in Moog's name has periodically come out with many interesting synths in the last few years. The Sub 37, which built on the Sub Phatty, is a very capable instrument and its Mother 32, a synth that can sit on a table or in a Eurorack system, makes the Moog name available to synth fans at the lowest price ever. They do still crank out the odd huge modular system too though and were, until recently, cranking out Moog Voyagers, the successor to the Minimoog. Their range of synths is not the biggest but then Moog have gone for the compact but classy approach to synth making and they trade on the idea of quality. And, of course, their products are analog as befits a company named after a man who invented the first commercially viable analog synth. It can be said that with Moog you usually know exactly what you are getting and it is important to the company that whatever they produce is quality. 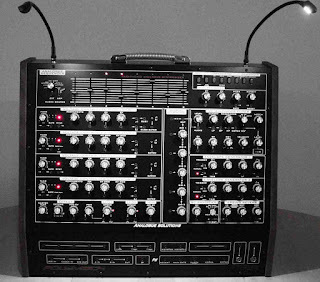 Arturia were once known as a software company that produced software models of classic synths. Some did not like these models (I saw Dave Smith in one interview saying he thought their Prophet 5 sounded nothing like it) but then the French company went and changed everything when they brought out a hardware mono synth, the Minibrute. This synth was an instant hit because it was cheap and it sounded different to other mono synths, having a brash, ballsy sound provided by a single multi-wave oscillator (with various wave shaping tricks available for each wave) and a Steiner-Parker filter to which was added the "brute factor", the old Moog trick of sending the output back through the synth again to provide overdrive. Building on the success of the Minibrute, they brought out an even smaller mono synth, the Microbrute, and now they've added a much bigger mono synth, the Matrixbrute, which boasts a huge 256 button matrix on its large front panel. This latter synth is aimed to be the king of mono synths but has seemingly suffered from being introduced to the public before it was ready for prime time. Still, this is not bad for some software developers working in the shadow of the Alps. It certainly seems that they are not afraid to have ideas and try things out although there have been grumbles about the build quality and availability of their instruments. Taking this into account, it seems best to advise caution regarding their gear and the need to allow them time to bed it in properly. Elektron are perhaps one of the major successes of the synth world in the 21st century. Founded just before the turn of the century in 1998, they have released a run of innovative instruments based on their own, unique thinking about how to design synths and electronic instruments. At first, these were all digital but starting in 2013 they have moved into creating analog instruments with digital control, all paired with their unique sequencer in table top instruments (save the Analog Keys, which is a keys version of the Analog Four). Indeed, if table top synths or "groove boxes" are your thing then Elektron are probably the Rolls Royce of this market at the moment. Their instruments are premium priced but also feature packed. And the feature set of their instruments is probably one of the contentious issues about them. When someone like Alessandro Cortini describes your instruments as "awkwardly structured" as he does of their sampler device, the Octatrack, then you have to admit that Elektron devices are certainly idiosyncratic. This fact may have deterred some from taking the plunge and I can certainly say from personal experience that coming to an Elektron instrument cold is a frustrating thing. There is undeniably a learning curve in the first few days and weeks of owning their gear since everything is done their way or not at all. That said, if you know one of their instruments then, in some sense, you know something about them all as their philosophy carries across their range of gear. I have not really heard anyone complaining about the sound of their instruments and the sequencer they have, capable of multiple parameter locks per step over 64 steps, is still today more powerful than many in other manufacturer's gear. Recently, they have introduced Overbridge technology which enables analog instruments to essentially become plugins in a Digital Audio Workstation on a computer, a first of its kind, making these unique in a studio environment. If you have the money I don't see why you wouldn't buy their gear.. provided you are prepared to learn their way of doing things. Dave Smith Instruments is the latest company to benefit from the design skills of Dave Smith, formerly of Sequential Circuits back in the day. In the last few years DSI have concentrated in premium quality synthesizers such as the Prophet 12, Prophet 6, Pro 2 and OB-6, the latter a joint project with Tom Oberheim. Their market seems to be the pro gigging and studio musician and although they do produce cheaper products this has never really been their focus. You get the impression that Smith just wants to make the best synths he can. Another collaboration, this time with Roger Linn, produced the Tempest drum machine back in 2011. This was another feature-rich, premium priced product. The products themselves are in some senses fairly conventional and the major advancement in recent years has been adding ever more granular methods of control. 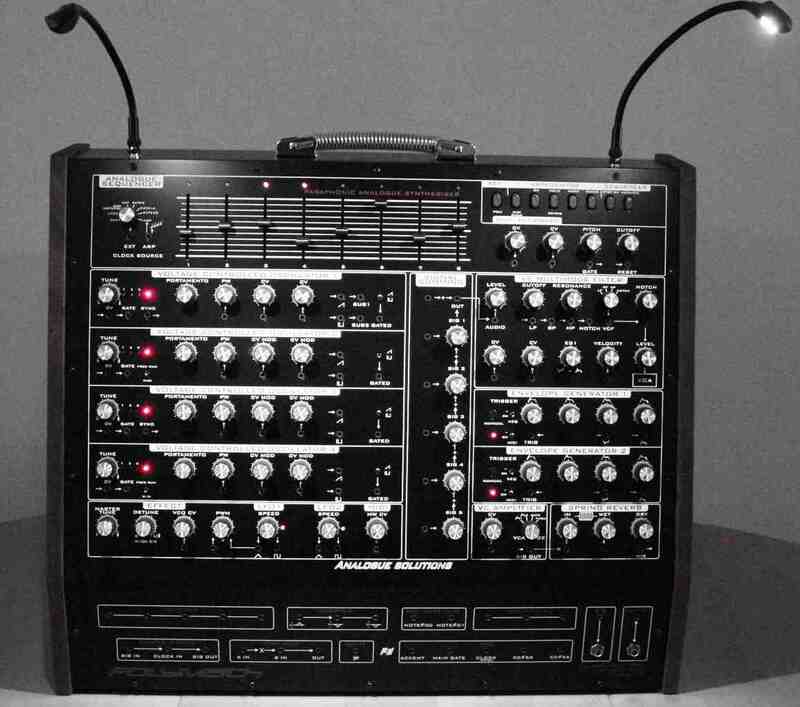 Smith introduced a character section to his Prophet 12 and Pro 2 synths which allowed more control over the tone of the synth and the screens on these synths were cleverly designed to make sound designing intuitive. The Prophet 6 and OB-6 were call backs to greatest hits of old from Smith and Oberheim respectively and these were both well received as premium synths of today with an authentic heritage. Smith's synths also seem to enjoy a good reputation in the pro music community such that they justify their prices at the higher end of the market. Analogue Solutions will probably be the least well known of the synth companies I mention here in this brief tour of synth world. They produce boutique analogue synths loosely based on classics of the past but each with their own unique tone. This ranges currently from the Nyborg 12 and Nyborg 24 through to the Telemark and Leipzig-S, the latter a brutal synth originally designed with percussion in mind, and on to premium synths like the modular Vostok Deluxe and Polymath. These synths are definitely meant to stand within a wholly analog tradition and you can tell that they are made by people who venerate the Moogs and Arps and Oberheim SEMs of old. The company is also actively engaged in producing Eurorack modules and so have feet in both the fixed architecture and modular synth camps. Being wholly devoted to analog synthesis, the focus of these synths is on the production of a distinct analog tone. If that is your thing then these boys deliver the goods. Of course, there are other manufacturers besides the few I've been able to mention here in a relatively short blog. Feel free to mention any others of note, in good or bad senses, in the comments. What is clear from even this brief survey though is that synth buyers do need to beware when buying things. Some manufacturers may have a dodgy reputation or seem to have run out of ideas whereas others chug along producing reliable and solid if unspectacular instruments. And then there is the fact that some will be better at some things than others. At the end of the day, of course, its what you do with what you've got that counts. A name is just a name and having Item X piece of gear guarantees nothing. I look forward to part 2. Yamaha? Casio? Nord? Studiologic? Kurzweil? Mostly stagnant companies that make little impact in today's PR driven marketplace. Does that cover it? I can only think of the Sledge II as worth talking about. Maybe that's why they were passed over here? Yamaha, I admit has gone stagnant in innovation. High quality in the Roland/Korg pricerange but not much new. Their Reface series is probably their most interesting and could be criticized identically to Roland's Boutiques above (though I find them more impressive side by side.) Casio's XW hex synths are innovative and attempted to catch the PR but got stuck in the toy-keyboard stigma. Nord and Kurzwiel are both great quality companies that have always kept quietly releasing non-flashy improvements on their already great products but like Yamaha with little innovation. Finally Studiologic; their biggest mistake is putting synthesizers out under that name. The Sledge 2 is awesome and Waldorf and Fatar deserve the credit. Should have left the studiologic name on the midi controllers and called it the Waldorf Goldfinger. I think it is worth mentioning Peter Blasser and his slew of products. From Ieaskul to Ciat this guy has the market cornered when it comes to absurd. I feel like his products, though difficult to tame or use to make music in the traditional sense, has most honored the pursuit of new ideas in sound, which seems to me like the spirit that drove innovators like Bob and Don to begin with. I also really like that his gear does not fall in line with the tradition of the 12 note keyboard thus pushing the user into a realm of uncertainty and risk. All of this aside, the products themselves are each an object d'art and are as satisfying to view as to play. As someone that has been playing synths since the mid 90's, all in all we are in an amazing period for synthesis no matter which flavor you prefer. Thanks for the comment. I'm not sure he is that well known is he? It sounds interesting nevertheless. Not very well known, no, but worth a mention for his innovative design and unusual aesthetic. Ciat-Lonbarde, Folktek, Mutable Instruments, Bastl Instruments, Trogotronic, Gotharman's, Eowave, MFB, Make Noise, JoMox, Kilpatrick Audio, Critter & Guitari, Metasonix are the only synth manufacturers I care about. I'm done with the big manufacturers who are failing at innovation and eccentricity. (1) Korg Kaossilator Pro Plus and Kaoss Pad 3 Plus are revolutionary, innovative, and incredible. (2) Roland continues to make great instruments like the System 8, AIRA VT-3 Voice Transformer, and JD-Xi, but I too am not at all interested in the boutiques. (3) Arturia MatrixBrute may be a colossal failure. Time will tell, but getting ready for prime time seems to be a big problem, as you state. (4) DSI did try making some cheaper devices (Evolver, Mopho desktop, Tetra), but they're now discontinued. Failures? Not sure, but I really want that Evolver. (5) Elektron -- you nailed it. I'm not ready to learn their convoluted system right now. A very interesting article Andrew! I share your perspective on the Elektron boxes. To me they feel very uncomplicated, but I come from a groove box background (Yamaha RM1X) and I do not feel at home with traditional synthesizers anyway. When you get to that point when you understand the Elektron logic everything comes together nicely. Too bad you have me blocked on FB mate. But I am sure you have your reasons. Anyways, good job! Thanks for reading and commenting. You're not blocked anymore. Thank you Andrew! Keep it up.